Very nice and rare magnum paperweight from Val Saint Lambert dating from the end of the 19th century to the beginning of the 20th century with a beautifull 4-lobed setup on a salmon-colored underground. 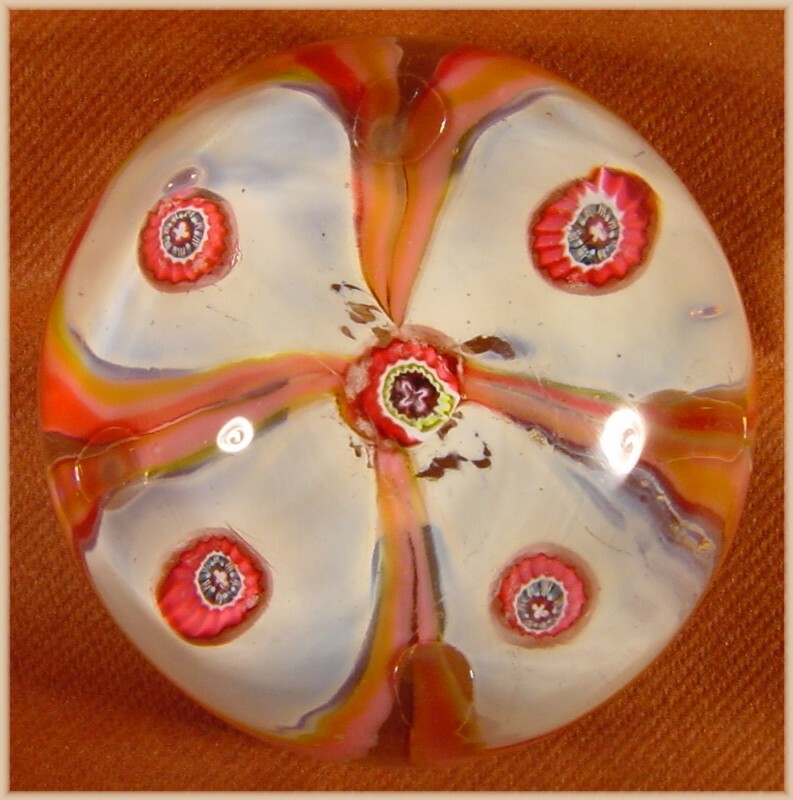 The 4 cream-colored lobes are each filled with a large complex millefiori (cog cane). In the centre another millifiori connects the lobes together. A special silver-like effect is created by the 4 flattended air bubbles between the lobes. Finished at the bottom edge with a beautiful 4-colored on white spiral. Flat polished base.